Over 100 representatives of the European materials handling industry met on 13-14 September in Antwerp, the 10th most innovative manufacturing city in Europe, to bring forward exciting trends that are changing the industry and find solutions for the challenges ahead. 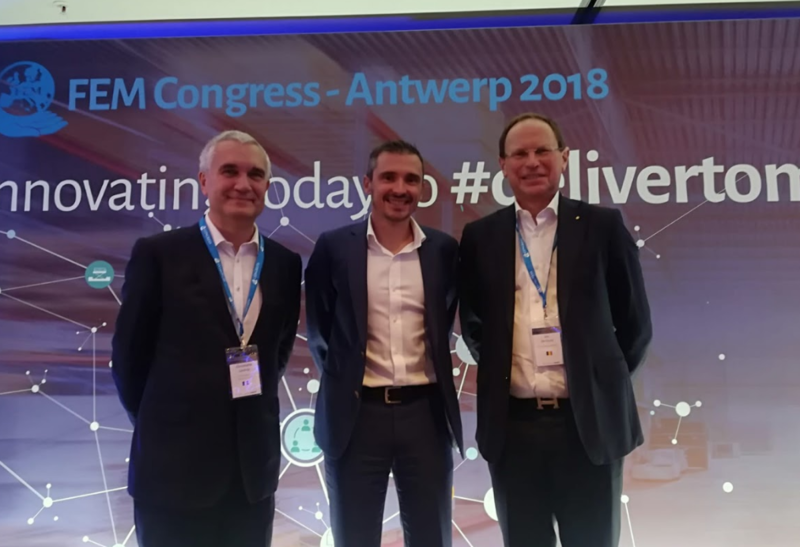 The Congress is the landmark event of the industry represented by FEM – The European Materials Handling Industry – and this year it was hosted by Agoria, the member of FEM representing technology industries in Belgium. After two days of product-specific meetings, all the delegates joined on Friday for the General Assembly of the association and the conference “Innovating today to deliver tomorrow”, moderated by Dan Sobovitz. The General Assembly meeting marked an important change for FEM: after two years of Presidency and remarkable achievements of Christophe Lautray (left on the picture), CSO at Linde, a new President was elected for the next two years: Jos de Vuyst (right on the picture), CEO at Stow and the Averys Group. FEM has launched the Smart Logistics Challenge in December 2017 as an initiative to connect with university students by giving them the chance to put forward their ideas on the future of the materials handling industry. Fast forward to September 2018, the jury has selected six winners out of 571 applications. All were invited to come on stage at the FEM Congress and pitch their ideas to the industry experts for direct feedback and discussions. Three of them went home with additional awards: the TrendSpotter Award, the FEM Congress Award and the Grand Jury Prize. The six winners will also get a paid traineeship with one of the six partner companies: Balyo, Linde Material handling, SSI Schafer, Stow, Toyota Materials Handling and Vanderlande. Watch Christophe Lautray’s presentation here. 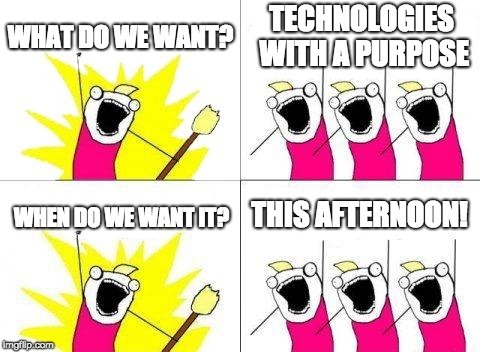 The new generation wants technologies with a purpose… and they want it now! Marc Lambotte, CEO of Agoria, kicked off the conference with a reality check: who is the new generation, what characterises them and how can we better connect with them? A few facts: they don’t care about the same things we do (like owning cars), they take technology for granted (with laptops, smart phones and apps as part of their daily life), they want instant gratification and they care about purpose – how does that improve the quality of life? Therefore, we need a different way of communicating to them and take into account their needs if we want to connect with them in a meaningful way. Have a look at “TechYou” to see how Agoria does it. Jan van der Velden from Vanderlande, a global market leader for value-added logistic process automation at airports and in the parcel market, presented the challenges of e-commerce and the technology mix needed to address these. We are faced with increasing demands from consumers: the need for a seamless experience, flexible and fast delivery options, easy returns, adoption of new technologies. 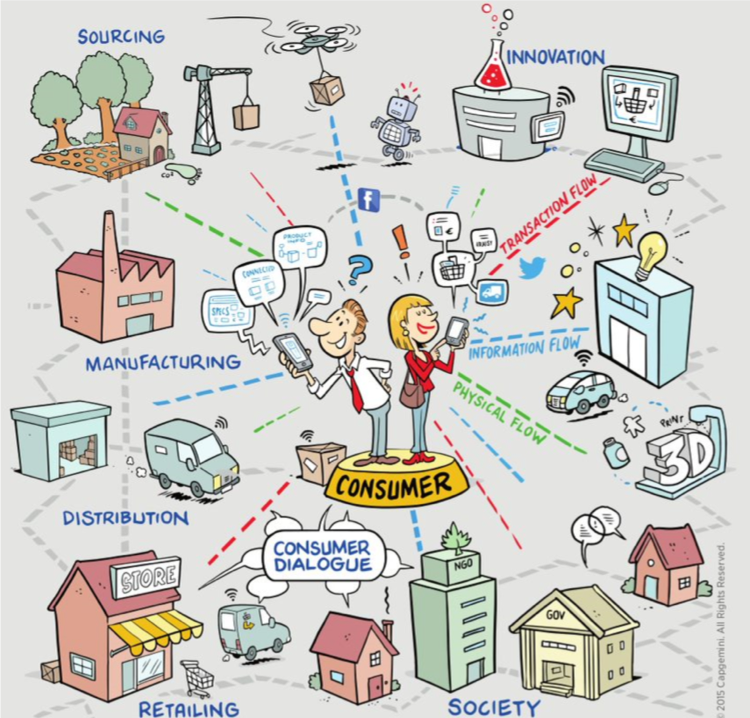 This shifts the industry-driven value chains to a focus on consumers and a value network driven by their needs. The impact on warehouse processes is huge and we are relying on new technologies such as cyber physical systems, AI and automation to make it happen. Going forward, the right mix of technologies is essential. Even more important is recognising the need to adapt to change and lead the disruption. Cobotics: how does it work in practice? 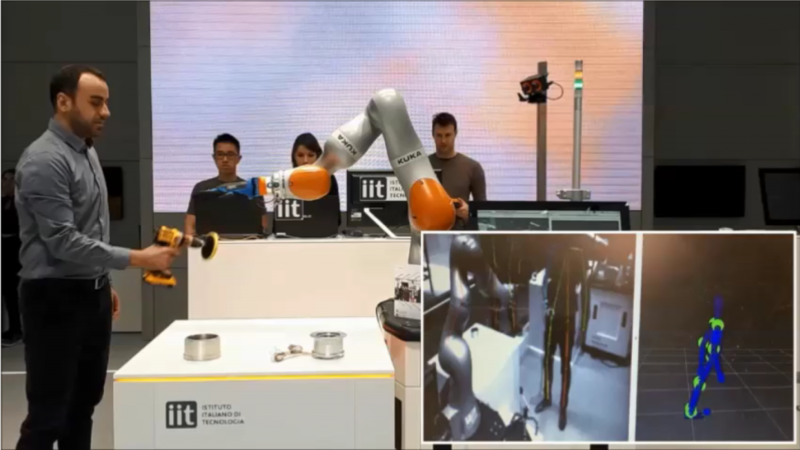 Arash Ajoudani, Team Leader on cobotics at the Italian Institute of Technology, walked us through the fascinating world of collaborative robots and how that is driving the manufacturing revolution. Their purpose is to assist human operators by doing the physically intensive part of the job. In this way, they increase performance, reduce fatigue and work-related conditions and improve the safety of the workplace. Willem Duijf, in charge of rental platforms at Linde Material handling, put forward the idea of a B2B asset-sharing platform for logistics to increase capacity sharing for forklift trucks or warehouses equipment, in the same way that we are using ride sharing or home sharing nowadays. Rounding up the discussions and putting the debates into the broader context of the future of the European manufacturing industries was Malte Lohan, Director General at Orgalime – The European Technology Industries. The future is uncertain and the only way to successfully defend our industry is if we think about more than just the narrow economic, regulatory, bureaucratic issues that we have been traditionally dealing with and instead look at people, planet and the world around us in a much more holistic way. This is actually what’s driving the next generation and what will help us compete in the war for talents with other industries. The transformation that we are seeing in the industry is faster than we can appreciate it and it is of course transforming society as a whole. The time to take tough decisions is therefore now and we have been pushing hard for a future-facing industrial strategy. It is our role to tell the positive stories about our industry and not leaving it to science fiction to influence opinions and decisions. European technology industries need to be at the heart of delivering a better future.